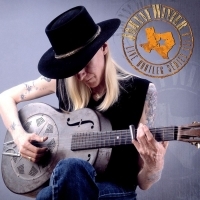 Friday Music is very honored to be the home of Johnny Winter’s Live Bootleg Series Volume 8. As with our previous releases, these are totally authorized and owned / controlled by Johnny Winter himself. For this super limited edition audiophile vinyl release, we are offering a truly hip two LP white color vinyl presentation, including all the great songs from the killer compact disc, as well as a very rare gatefold cover featuring the great album cover photo from Paul Natkin, as well as Johnny’s good friend, producer and guitarist Paul Nelson’s penned liner notes.